I just love this portable party karaoke machine. This thing is so much fun! It has a stand that controls all the functions. I love that there is a separate volume control for the speaker and the mic. You can simply plug in your phone or device or connect it through bluetooth and you can play your favorite songs and use the attached mic to sing along. It is a ton of fun. My kids had so much fun playing with it. Since it’s all enclosed though and everything is attached you don’t have to worry about losing pieces. It’s also super light so carrying it is really easy. 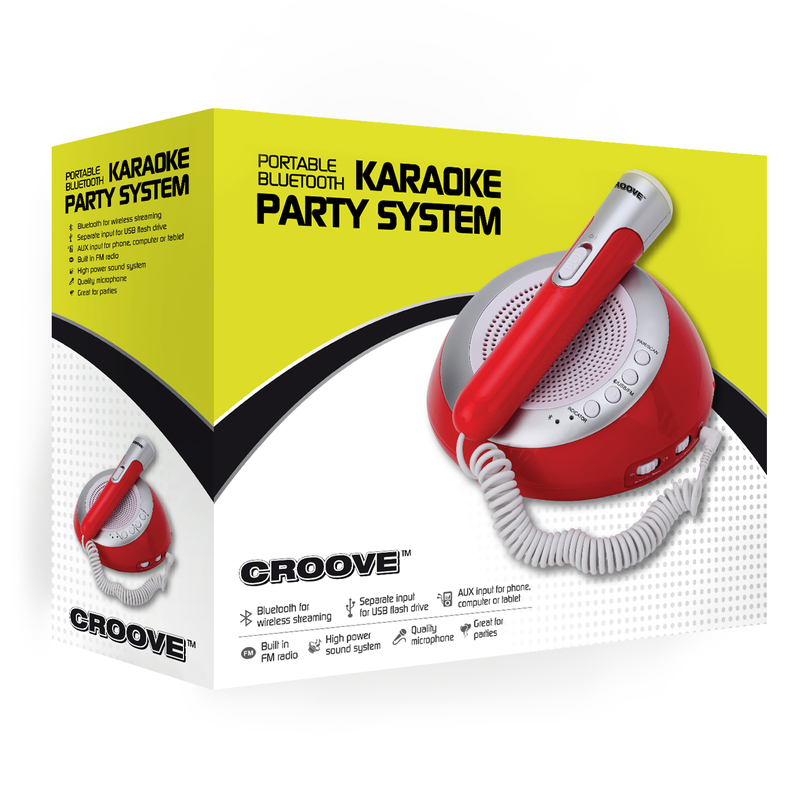 You can easily take it with you wherever you go and have a fun karaoke party at any location!!! It works really well, it has great sound, and the mic works really well also. 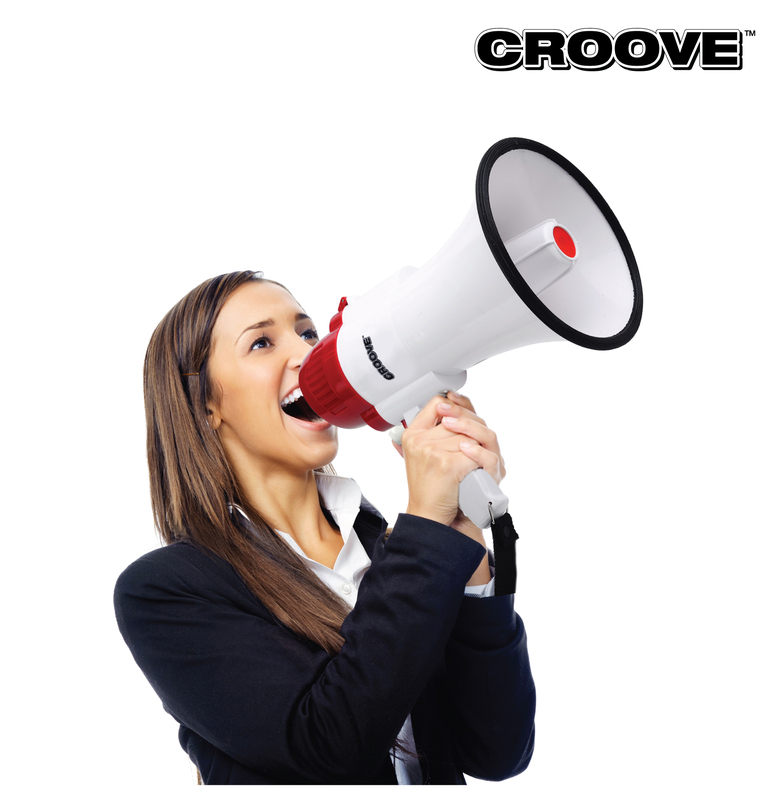 I just got this great megaphone from Croove. This is a lot of fun. It works really great and you can use it as a megaphone, siren, and plays music tone. You can adjust the volume as well so you can determine how loud it is. It has a handle that you can bend down which makes it more portable. So just unfold it when you need it. Simply press down the button and speak into the megaphone to make your voice loud and to carry over a crowd. You can also push the siren or music buttons to use to draw attention. This is great for events where you will need to speak over a lot of people for directions or announcements. It works really great and I love it!